STOP unconscious habits that sabotage your ability to lose weight. GUARANTEED to DOUBLE the pounds you lose on any weight loss plan. Listen and Lose Up to 25 Pounds In 6 Weeks! 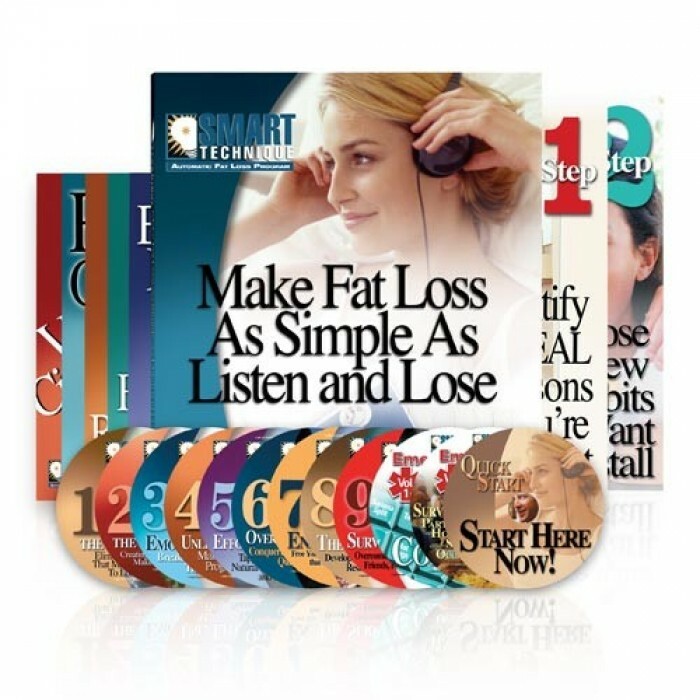 The amazing CD weight loss program that’s GUARANTEED* to DOUBLE the pounds you lose on any weight loss plan! Clinically Tested & Proven to Double Weight Loss! A review of 5 separate studies published in the Journal of Clinical and Consulting Psychology showed that techniques like those used in the SMART program more than doubled the amount of weight lost using conventional diet plans.